WHAT'S MISS PEREGRINE'S HOME FOR PECULIAR CHILDREN ABOUT? Encouraged by his grandfather's stories, a teen seeks out a secret refuge for children with unique powers. 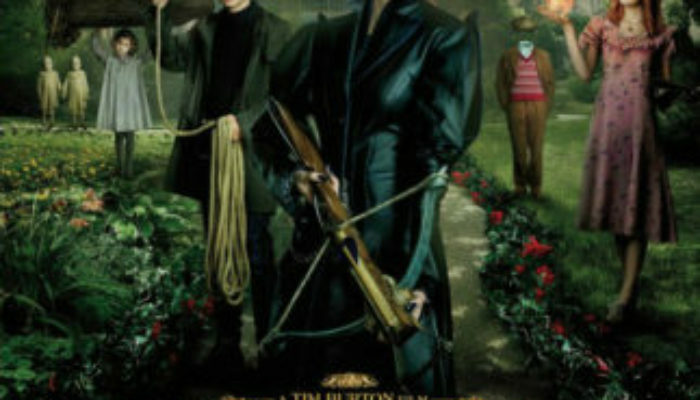 Ostensibly Tim Burton's version of an X-Men movie (Xavier's School for Gifted Youngsters is essentially the same as the titular academy here), Miss Peregrine's Home for Peculiar Children borrows liberally as well from such influences as Jason and the Argonauts and the terrifying Slenderman urban legends. It's a bit convoluted, at times choppily-edited, and can be tonally-inconsistent (Samuel L. Jackson, for example, vacillates between chilling and campy in his performance). However, in terms of visual creativity, memorable characters, and balancing the mundane with the fantastic (as well as the horrific with the wondrous) it's a Burton film in the best sense. It's moving, thrilling, and funny. It's marvelous to behold. Fans of the director's early efforts such as Edward Scissorhands and Beetlejuice will rejoice in what is, in many ways, a return to form. This new film won't be considered a classic like those, but it's strong enough to recommend for Burton fans without reservation. Miss Peregrine's Home for Peculiar Children is rated PG-13. (Spoilers) Several dead or dying persons are seen with their eyes removed; it's not bloody but it is frightening. Villains are shown eating a pile of human eyeballs. Children are terrorized and imperiled by nightmarish monsters resembling Slenderman. There is action violence as children battle monsters, along with some creepy visuals and a few mild-and-moderate profanities (no f-words). A teenage couple shares a kiss. You have hidden gifts and talents which will be revealed as you live your life and try new things. Rivals can become friends as they serve each other with love and understanding. Don't hate on people because they're different. We can learn marvelous lessons from our elders, lessons that can change our lives for the better.